If you have any questions or want to enquire about dates, use our form to contact Martin & Leonie Charlton or see their website for more information. Discover a ‘fairy knoll’, tree-hugged and silent, and a modern timber eco cottage designed by caring Leonie for outdoorsy families. What a setting. The sun rises over Ben Cruachan, sets over the Morven Hills, glints off Loch Etive – spiral up to the hilltop barbecue for the best panoramas. On this sprawling hill farm you may be visited by deer, red squirrels, hen harriers, Leonie’s horse… but few humans, although the village is only two miles. You enter the cottage on the upper level: an airy open-plan living space of earthy browns, natural timbers, a vaulted ceiling, comfy sofas by a wood-burner; underfloor heating keeps it toasty. Dine at a refectory table with a side-dish of green views; order homemade meals from a local cook. One bedroom is up, the others down: simple, subtle, snug, with crisp white linen, natural pine, a touch of luxury in the tiny sauna… and doors out to a sheltered wooden deck. 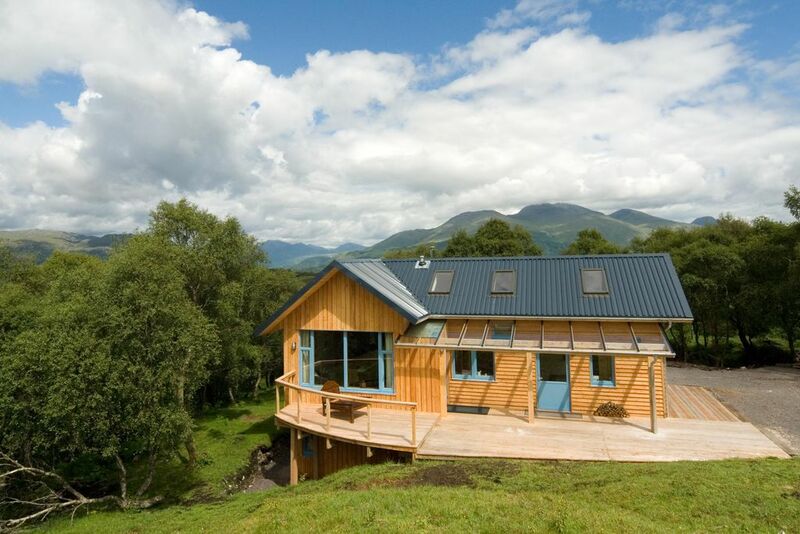 Green credentials are impeccable (solar panels, earth bricks, hemp insulation) and the house blends quietly into this fabulous landscape of heather hills, soaring mountains and Oban, gateway to the Hebrides. Short breaks November to March. An ideal place to unwind either watching the wildlife at your leisure or walking in the nearby hills, returning to a house that is totally secluded, eco friendly and welcoming.